Being stuck on the login screen in Windows 10 isn’t a new thing. But for some people, this is becoming quite a regular experience. A lot of people are complaining about being stuck on the black login screen where the spinning dots animation just keeps on going forever. Conventionally, the spinning dots indicate that Windows is doing something in the background. You need to wait a bit for the background stuff to complete. However, in this case, they aren’t. Even if you wait an hour, or in the case of some unlucky few, you’ll still be stuck on that dreaded black login screen with spinning dots. I’ve got 3 Windows 10 machines in my home and suddenly out of the blue, last week, I started getting stuck on this black screen. Every time, I boot my computer, it gets stuck on the black login screen. All I did was that I removed all the connected USB devices on my PC except my keyboard which uses PS2 connector. That fixed it instantly. Why did that work, you might ask? Well, whenever Windows 10 installs an update, it removes and reinstalls some device drivers for the particular hardware on your PC. When your PC boots up, you have Windows tries to install configure each device before welcoming you to the Desktop. All this happens in the background very quickly. Sometimes, however, all doesn’t go as planned. Some hardware doesn’t work well with Windows plug-and-play scheme. That means, the universal device driver that Windows tries to install for the USB device you have connected to your PC might be stuck at installation. Since this installation isn’t getting along smoothly, Windows doesn’t continue to the Desktop and you get stuck on the black login screen with spinning dots. Try it out, it might just work for you. But, of course, this is Windows 10, and fixing stuff can’t be as simple. So, if disconnecting all your USB devices from your PC doesn’t stop the black login screen with spinning dots, then the most likely culprit is your graphics driver. 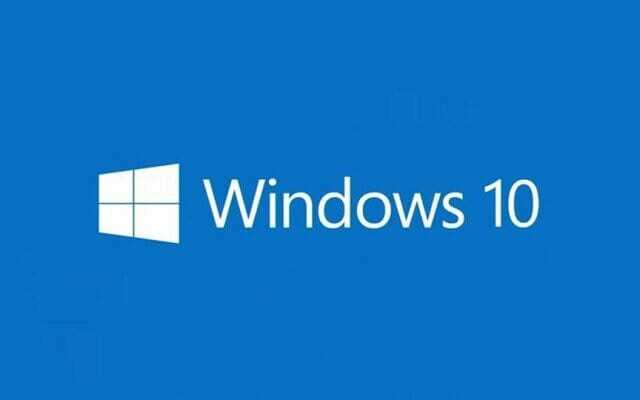 Since we know that you aren’t able to login to Windows 10 because of the black login screen, you can use the safe mode. Safe mode will allow you to enter the Desktop without much hassle. Boot into safe mode as I have explained in the past. Follow the instructions until you get to the Advanced boot menu. From there, select Startup settings and then use that to boot into safe mode. On booting into the safe mode, go to Control Panel > All Control Panel Items > Programs and Features and search for Nvidia or AMD (depending on the GPU you have) and uninstall their drivers. You will be prompted to restart your PC, do that. Boot into safe mode again and then head over to your GPU driver website and download the latest version. Nvidia | AMD. Once downloaded, install the drivers and restart your PC. If you are using Nvidia, be cautious of the Telemetry. Disable it. That’s pretty much all of it. If it was the graphics issue, you will now not get the black login screen with spinning dots on your startup screen in Windows 10 PC.